Some studies say that the shape our feet can be related with our roots. 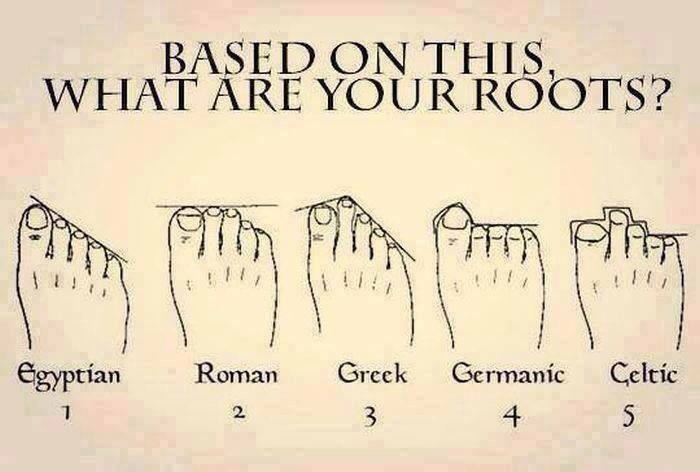 So, based on the image bellow what are your Roots? Some people (including scientists) believe it, see the opinion of Juan Ma. that, excited with this idea tried to collect some facts that can support the feet shape / roots relation.